Hokkaido Ramen Santouka is expanding its food business based on our desire to "see customers smile beyond the steam of our ramen soup." We will strive to take on new challenges and contribute to the development of Japan's rich food culture using our diverse network of partner companies. 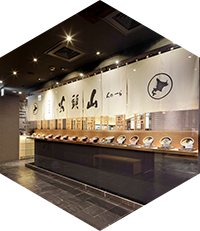 Hokkaido Ramen Santouka offers ramen whose flavor we have carefully maintained since our founding and which can be enjoyed by everyone from children to the elderly. The luscious ramen is topped with sizzling vegetables fried with miso paste. 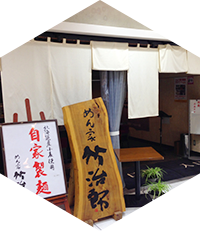 This is a dipping- noodle and ramen store which insists on using house-made noodle using Hokkaido wheat. The company proactively supervises product collaborations with various companies centered on the Santouka brand. 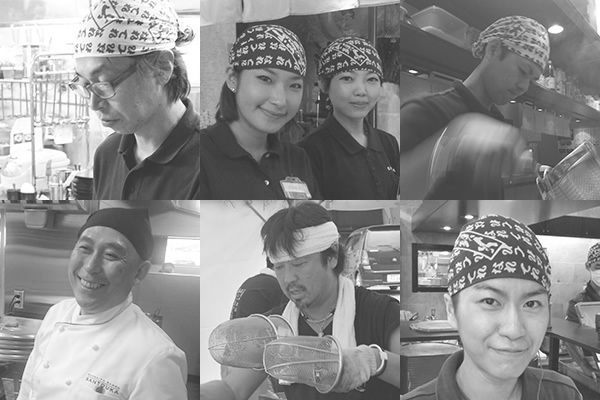 A pioneer in spreading ramen throughout the world. When our founder opened Hokkaido Ramen Santouka in Asahikawa, no one imagined it would become this large an enterprise. 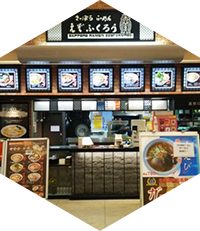 Hokkaido Ramen Santouka, which began serving only shio ramen, became popular for its insistence on good flavor. However, because he was not satisfied with this and always took on new challenges, ab-out co. grew into a global company as a pioneer in spreading ramen culture to the rest of the world. Our efforts to conquer new challenges are far from over. You also enjoy working hard with your colleagues. That is why we need someone like you. We are always looking for new colleagues to work with us at ab-out co.
From part-time workers to regular employees, we welcome anyone who loves ramen. people who want to own their own store in the future and people who would like to try working overseas. but also can work energetically toward goals and grow as a person. Copyright(C) ab-out Corporation. All Rights Reserved.